The ruling Nepal Communist Party has been dealing with the issue of reforms in medical education and health services in a lighthearted manner. Even as hunger strike staged by Dr Govinda KC is gaining momentum with wider section of civil society, main opposition Nepali Congress and media fraternity joining the bandwagon, the communist government led by K P Sharma Oli has not yet come up with credible plans to hold dialogues with Dr KC, let alone showing readiness to address his key demands. This, as we have maintained several times in this space since Dr KC launched his 15th hunger strike 25 days ago, is egregiously wrong way to deal with crusader of reforms. It won’t bode well for the government which has been mandated to rule the country for the next five years. Prime Minister Oli and his cabinet ministers must respond to Dr KC’s demands with utmost sincerity. We have discovered that not all leaders of ruling party are as apathetic toward Dr KC. Differences have surfaced among top leaders of ruling party as to whether and how to address Dr KC’s demands. Reportedly, top leaders of erstwhile CPN-UML, including the prime minister himself, are adamant on not holding talks with Dr KC until he breaks his hunger strike, even though some top leaders of erstwhile CPN (Maoist Center) have shown some flexibility. Some senior leaders of erstwhile UML are also not happy with rigid stance of Oli and his team. Pushpa Kamal Dahal, another chairman of NCP, has stood in favor of resolving the issue amicably. Dahal is said to be convincing other ruling party leaders to find solution to Dr KC’s demands. If Dahal is indeed working toward that end, he must be appreciated. It increasingly seems like the prime minister has taken Dr KC’s crusade as an attack on Manamohan Medical College in which leaders close to him have invested a lot of money. 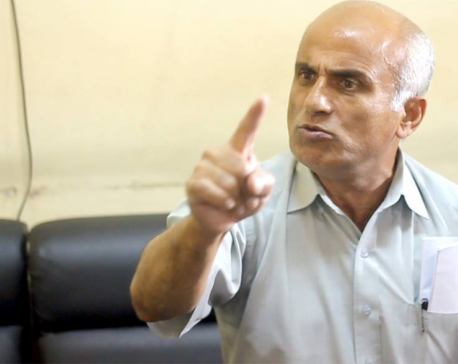 It would be a mistake to read Dr KC’s demands that way. For the last six years, Dr KC has been consistently raising agenda of reforms in medical education, irrespective of which party is in power. PM Oli has maintained that he will hold talks with Dr KC only after the latter gives up all conditions for talks. If Oli is thinking of using it as a strategy to tire out Dr KC it will meet with public backlash. The need of the hour is for the government to immediately sit for talks with Dr KC and his team and find out an amicable solution. 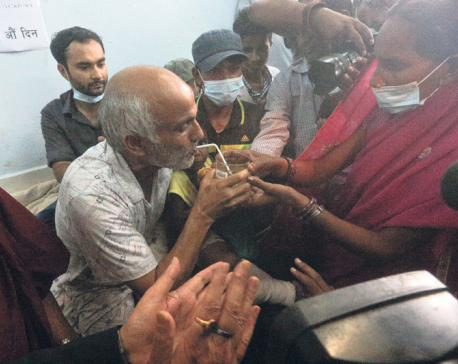 Delay in addressing Dr KC’s demands has already sparked protests across the country, including in Kathmandu Valley. It has badly discredited ‘socialist’ credential of the government. The prime minister should not stick to rigid stand, which has not only angered a huge number of people but equally dissatisfied leaders within the party. Both the government as well as Dr KC’s team should sit for talks and resolve the matters in a way Dr KC does not have to resort to hunger strike for the same issue in the future. 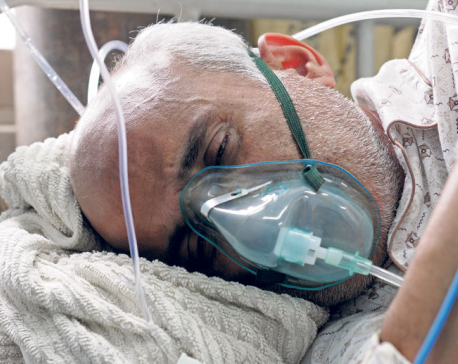 Dr KC’s health is deteriorating alarmingly; he needs to be saved at any cost. And PM Oli’s reputation has nosedived because of his rigidity and insensitivity. Prime Minister Oli, forego your ego and heed Dr KC, before it is too late.